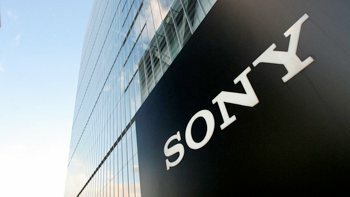 US credit ratings agency Standard and Poor’s cut the long term debt rating of Sony Corporation to BBB+ yesterday, issuing a stark warning that it could drop the Japanese electronics company a further notch within a year if it does not begin to show a significant turnaround in profits. The lowering of their credit rating will heap further pressure on Sony’s new CEO Kazuo Hirai, due to take over from Sir Howard Stringer on April 1. He takes over the leadership role at a time when the firm’s TV division is heading for its eight consecutive year of loses. The main reason for its poor performance over the last few years, according to S&P, is "Sony's strategy to aggressively expand its global market share despite strong competition, a massive erosion of prices and its high cost structure compared with overseas competitors." Last week the struggling Japanese firm forecasted a $2.9 billion annual loss for the financial year ending March 31. Sony also posted losses of $2.1 billion in the third quarter ending December 31 at the same time. S&P estimates that Sony’s ratio of debt to capital is set to reach 40% by the end of March, up five percent from the same period a year earlier. Ratings agency Moody’s also downgraded the company last month, taking it from its A3 rating to a Baa1. Sony is not alone though, Panasonic has felt the impact as well with its credit rating also lowered by Moody’s after revising its annual net loss forecast to a monumental $10.2 billion. It appears Sony is taking steps to rein in its high production costs though, pulling from an LCD joint venture with Samsung and consolidating online services. In emails received by PlayStation Network (PSN) users over the weekend, Sony announced a rebranding of the service and a new name, Sony Entertainment Network (SEN), which will also help the firm take steps towards distancing itself from last year's security disaster.